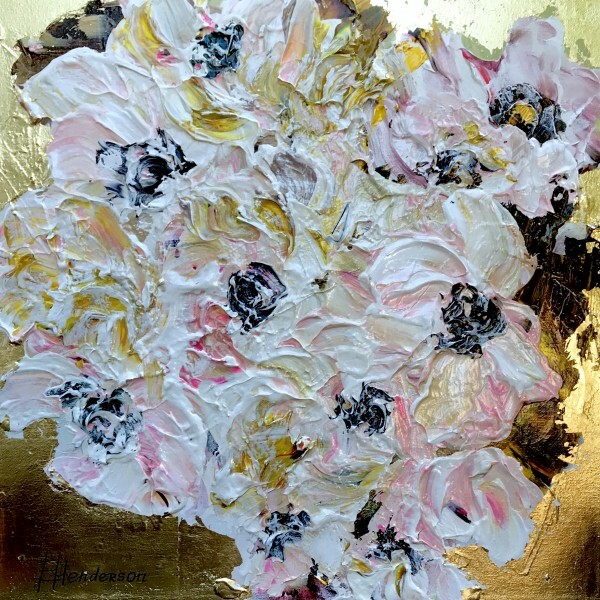 Elena Henderson Spring Blooms series 1 Size 18×18 Original acrylic painting on canvas. Available unframed or framed. Painting is on 1.5 inch deep stretcher frame with picture wire installed and ready to hang. Elena Henderson has placed color on the sides making this ideal to hang and frame later. Additional photos available by request.